Posted by Torch Staff on February 27, 2019 in Lifestyles. Ferris digital animation and game design junior Patrick McVeigh enjoys the friendships made, both online and offline, through the Ferris Super Smash Bros. Club. A popular game for this generation, Super Smash Bros. has inspired many clubs to form on campus, giving students the opportunity to meet other students with similar interests. “You never know who or what you’re going to fight, which makes every week a new experience,” McVeigh said. Building to a club of about 25 to 30 people, members share their love for Super Smash Bros. by hosting weekly “Smash Fest” tournaments on their Discord server. During these weeklies, players meet up to practice and train with one another to improve their skills in a group setting. Even though the meetings are held at Ferris, members will sometimes meet up with other players from different schools such as Central Michigan University and Michigan State University to battle and see who the best fighter is. “Anyone who is interested in trying competitive play, or just wants to enjoy the game for fun, is welcome to enjoy what our club has to offer,” Ferris digital animation and game design freshman Emily Gudzinski said. As well as hosting mini-tournaments weekly, the Super Smash Bros. Club has decided to host its first major Crimson Clash tournament in March. This will host people from all around the state to come and play in a competitive fashion. Crimson Clash will feature two different style tournaments: 1 v. 1, involving one player fighting another and going through the bracket, and 2 v. 2 where a pair signs up to compete against other pairs. The top six players in both tournaments will win a pot of money that competitors pay for entry fees. 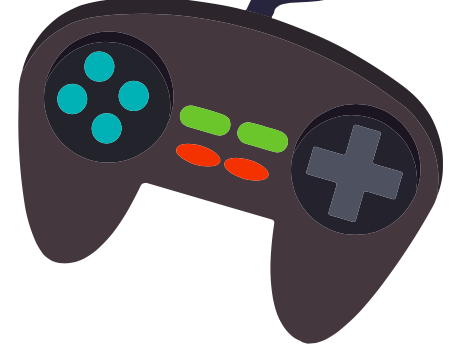 Players are encouraged to bring their own controllers to the tournament. There will be food provided to contestants by Ferris Catering. The Crimson Clash tournament will begin 10 a.m. Saturday, March 2, in IRC 120. There’s a $5 fee per person at the door, but the event is open to the public. The Super Smash Bros. Club meets 6 p.m. every Sunday in UC 123. For more information on the tournament or the Super Smash Bros. Club, contact Evan Shimp at 616-710-9476.